But in an apparent change of position, Dmitriev said on Monday supply cuts may not be required after June. 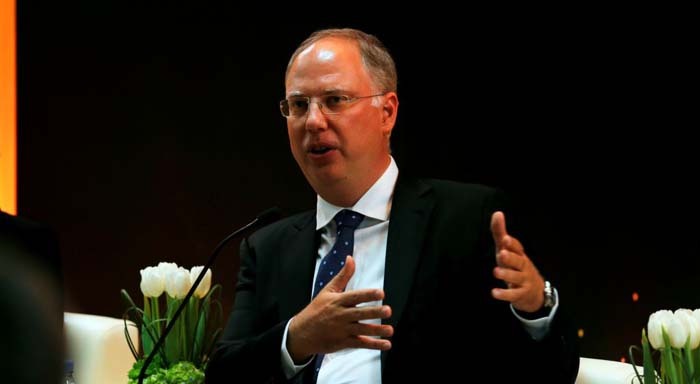 "It is quite possible that given the improving market situation and falling stocks, [OPEC and its allies] could decide in June this year to abandon supply cuts and subsequently increase output," Dmitriev told a conference in Moscow. Sechin is arguing that Russia is losing market share to the United States, which is not participating in production cuts and has hence been boosting output to record levels of some 12 million barrels per day. Russia and Saudi Arabia produce around 11 million and 10 million barrels respectively, but could raise output fairly quickly if needed. In January, Dmitriev said Russia should not unleash an oil price war against the United States but rather stick with output cuts even at the cost of losing market share in the medium term. Saudi Energy Khalid al-Falih has also said it was important to extend oil cuts until the end of the year.